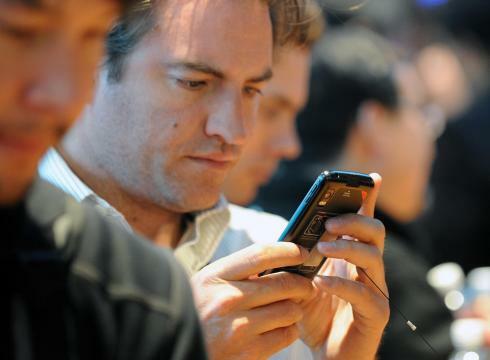 Today mobile phones are becoming efficient tools for the firms to conduct business. With customized mobile applications businesses are now leveraging new strategies to improve their profit ratio. In the present day tough competitive world where every business is trying outcome its competitors and generate leads, it is very important for the firms to try something new and different to gain better business. Advertising in various media like TV, newspapers, radio and internet is quite old strategy. Business men and retailers today are much smarter. They are incorporating changing technology to create a unique and influential business strategy to allure customers. Therefore for such business men or retailers mobile application development has come up as the best solution so that more number of prospects can be targeted through the most popular communication medium of mobile phone. Today mobile application development is quite popular among businesses and also retailers. Retailers who want to promote and sell their products better on a large platform are now opting for dedicated smart phone applications development like iPhone mobile app development, Blackberry apps development or Android application development as cut through strategy to develop their business through technology. All the retailers want to satisfy their customers so that they keep visiting their physical or online stores again and again. This is what a mobile application can help to do. Through customized mobile apps, retailers can sell their products through mobile. They can allow their customers to buy their products or services right through mobile phone. This will improve the sales for the retailer and is also an effective way to keep the existing customers satisfied by providing them easier mode of purchase. With mobile apps, even small businesses can give tough competition to the big shopping malls. Using customized business apps, these businesses can stay unaffected even before big reputed brands. For example a small retail shop can opt to build custom apps and bring its store online to be accessible by the mobile phone users and therefore can target a large group of audience to give a good competition to the well-known brands. The retail stores with physical existence can go for custom navigation app. A navigation app showing directions and location of various products in a retail store can improve business. Such apps can be useful to customers guiding them in the retail store while helping them find the location of various items, save their time and giving them a comfortable shopping experience. Customers satisfied with your services and comfort of shopping at your store will definitely be coming up again for his needs. 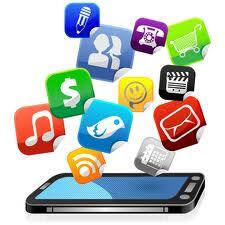 Therefore custom mobile app development can also be a strategy to retain your existing customers. For the businesses or retailers looking for mobile apps development suitable to their needs, V-Soft Inc offers the best solutions at cost effective price. The team of professional mobile apps developers at V-Soft can develop suitable applications matching your retail or business needs on a platform as per your choice. The company can offer dynamic business app development solutions on platforms like Blackberry, Windows, iPhone, Android, Palm and JavaME. Visit http://www.v-softinc.com/about-us/ to know about V-Soft Inc, a mobile application development company.